Meet Jan! She was f ound by a GSR volunteer in west Philly, c old, hungry and with small wounds on her back from a probable cat fight. She was found to me previously spayed at the vets. We were able to move her happily into a foster home where she will wait for her forever home. Best as an only cat my cat but ok around others in a larger home. 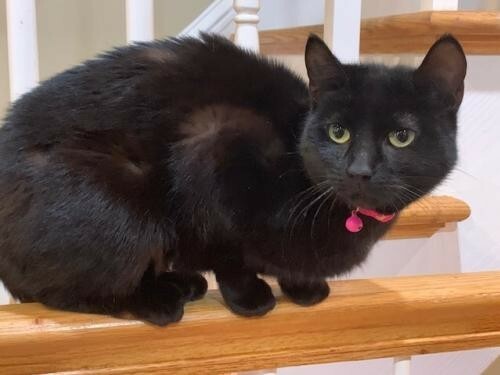 She is very friendly and would do well with older kids If you want to meet this sweet cat, please submit an application on our website: application. All our cats are up-to-date on vaccines and ready to go home. And if you can't adopt but would like to help, fostering is always an option! You can also schedule a play date and meet some of our affectionate rescues by visiting Le Cat Cafe. Schedule a visit today!